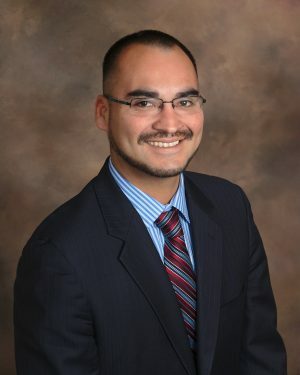 License defense attorney Michael Benavides defends Residential Care Facilities for the Elderly (RCFE’s) and Adult Residential Facilities (ARF’s) in license revocation actions. If you received an Accusation seeking revocation of your license call attorney Michael Benavides at (916) 596-1018 for a free phone consultation. California attorney Michael Benavides defends Residential Care Facilities for the Elderly and Adult Residential Facilities in license revocation actions. His practice extends to representation in Non-compliance conferences and regulatory compliance counsel. Whether you have been served with an Accusation, Temporary Suspension Order or Non-compliance conference letter you should call a license defense attorney for a free phone consultation. At the conclusion of your consultation you may decide to retain an attorney to file a Notice of Defense, engage in settlement negotiations with the Department’s attorney, and if necessary, represent you at the administrative hearing. Not every case results in a complete win or loss. Sometimes D.S.S.’s concerns can be addressed through stipulations in a settlement. In general, a settlement will allow you to operate under a probationary license status. Many owners representing themselves cannot reach a settlement with the Department of Social Services. If you are interested in reaching a settlement that avoids a hearing and which allows you to continue operations call our license defense attorney for a free consultation. If you have been served with an Accusation seeking revocation of your license you need to protect your right to defend yourself in an Administrative Hearing. By filing a timely Notice of Defense a hearing will be scheduled with the Office of Administrative Hearings. Before the hearing you will need to comply with the Department’s discovery request, engage in settlement negotiations and prepare your defense. A temporary suspension order (TSO) is served with an administrative action to revoke a license when C.C.L.D. believes that a condition poses an immediate threat to the health and safety of residents. For example, an open body of water that is accessible to residents may pose an immediate threat to the health and safety of residents. Some RCFE’s and ARF’s receive a non-compliance conference letter. The letter will demand the licensee’s attendance at the conference to review the facility’s pattern of regulatory violations. Usually the non-compliance conference is the last step before an administrative action to revoke a license. Consequently, many licensees choose to hire an attorney to represent them at the non-compliance conference. For many licensees the cost of hiring an attorney to appeal deficiency citations outweighs the ramifications of the citations themselves. However, for licensees with a history of citations the cost of hiring an attorney to appeal the issuance of additional citations may be justified. Licensees with a history of citations are at a greater risk of an administrative action to revoke a license for general noncompliance. Accordingly, some licensees with a history of citations may choose to hire an attorney to appeal deficiency citations for a flat fee. We are licensed to serve clients across California. Major cities we serve include Sacramento, San Francisco, San Jose, Los Angeles, San Diego, and Santa Rosa. Even if your residential care facility is not located in one of these cities we may still be able to help you defend your license. If you own a California residential care facility for the elderly, adult residential facility or similar facility licensed by the Department of Social Services, Community Care Licensing Division and have been issued a deficiency citation or license revocation action call our office at (916) 596-1018 for a free consultation.